Lightly salt and pepper the salmon fillets. Combine olive oil, soy sauce, honey, onion, and ginger. 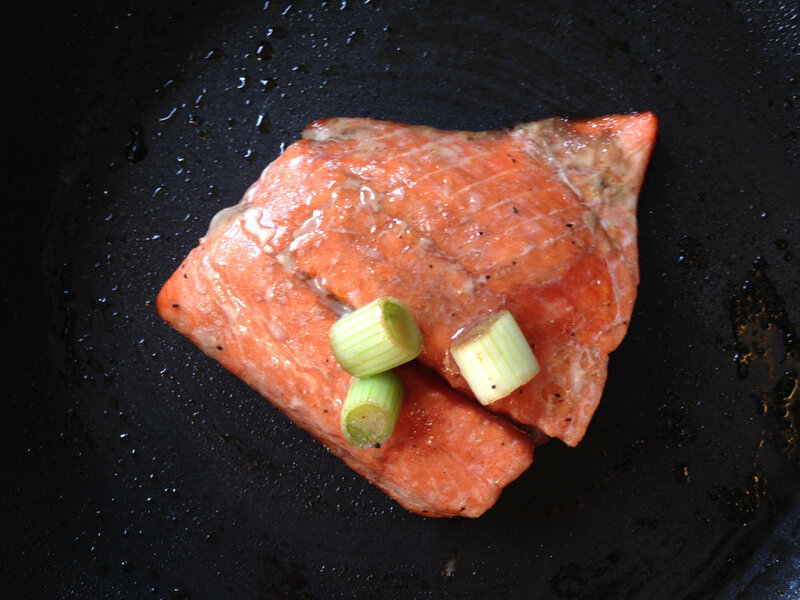 Place salmon fillets in a shallow dish or plastic bag and cover with marinade. Place in refrigerator to marinade for 30 minutes. Heat a nonstick skillet to medium-high heat, grease lightly with cooking spray or oil. Cook the salmon skin side down until the bottom half becomes opaque. Reduce heat to medium and flip to cook for an additional 3 minutes.